The PKK has called on all to unite against the bane of humanity AKP-MHP fascism, show solidarity with the Kurdish people’s struggle for existence and freedom and to actively fight against AKP-MHP fascism together in 2019. 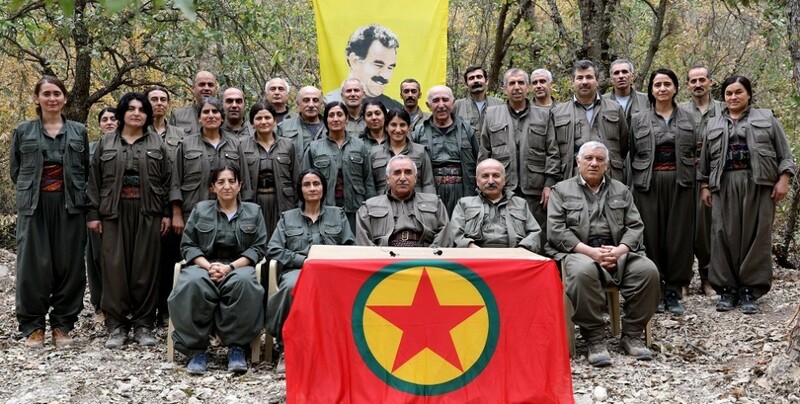 The Kurdistan Workers’ Party (PKK) Executive Committee issued a written statement for the new year. “The year 2018 is coming to a close. We as a movement and a people have waged a heroic struggle against the fascist-genocidal mindset and politics in all four parts of Kurdistan and throughout the world. We have defeated ISIS and laid siege to regressive fascism in the person of AKP-MHP, bringing them to the brink of destruction. We enter 2019 with raising the Break the Isolation, Break Fascism, Free Kurdistan lunge in all areas. Actions of freedom against fascism are on the rise everywhere, starting with the dungeons. In 2019, AKP-MHP fascism will fall and peoples and humanity will be rid of the bane of fascism. We celebrate the new year for Leader Abdullah Ocalan, all our people and all forces of democracy. We wish extensive success to all forces fighting for freedom and democracy in 2019. 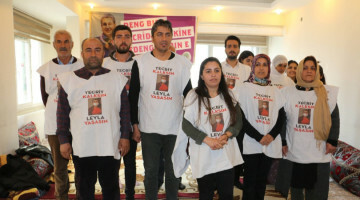 We salute DTK Co-chair and HDP MP Leyla Guven and all resistors who participated in this historic series of actions and state our full faith that they will prevail. We call on the youth and the women, and all our patriotic people and allies, to participate actively in our lunge to break the fascist mindset and politics in the person of AKP-MHP wherever they are. As it is known, as a people and a movement we effectively fought ISIS and AKP-MHP fascism, and achieved significant results in 2018. We defeated ISIS fascism in this struggle and brought the AKP-MHP fascism to the brink of destruction. We exposed the fascist AKP administration, a supposed NATO ally that tries to trick peoples and revolutionary-democratic forces with anti-US, anti-EU rhetoric, we unearthed the truth and showed what a slave to imperialism they are for all to see. This great struggle started with the Raqqa Victory, continued with the Afrin Resistance of the Age and reached the Break the Isolation Break Fascism victory lunge on the basis of the historic resistance led by the guerrilla. Without a doubt, we had important hardships in this historic struggle and gave many martyrs. We remember the heroic martyrs of this great struggle with respect and gratitude in the person of comrades Avesta, Karker, Zeki and Atakan and we repeat our promise to fulfill their goals. Without a doubt, the biggest and most meaningful battle in 2018 was in Rojava Kurdistan and Northern and Eastern Syria. The Syrian Democratic Forces (SDF) created the democratic union of all peoples based on the Kurdish-Arab alliance and wiped out ISIS in Deir ez-Zor, also engaging in a historic resistance against the AKP-MHP invasion attack along the Afrin-Kobane border. We as the people of Kurdistan and the Freedom Movement supported this historic struggle for democracy by the peoples of Northern and Eastern Syria against fascism and invasion with all the strength we have and we acted in together with all who supported this struggle. We have thousands of martyrs and veterans in this historic struggle. Surely we did all this willingly and because we believe in it, because we stand against fascism and colonialist invasion. We do not regret anything we did, and we will continue to fight in the same line as those who are allied with us. Some powers, like the current US government, changing sides will not hinder our people’s and our movement’s advance in the rightful and just line of struggle, it will give us an opportunity for new beginnings to bigger, more significant and more successful struggles to come. Now, encouraged by the calculating and duplicitous policies of the US government, the AKP-MHP fascism has increased their threats of invasion against Rojava Kurdistan. Undoubtedly the facsist-genocidal mindset and politics will want to implement their own hegemony. The powers that feed off of blood will try to benefit. But Northern and Eastern Syrian peoples will fight with the same spirit and faith in Manbij and the east of the Euphrates like they did in Kobane, Raqqa and Deir ez-Zor on the basis of the Kurdish-Arabic alliance. They will certainly defeat the AKP-MHP fascism in Manbij-Kobane like they defeated ISIS fascism in Raqqa, Kobane and Deir ez-Zor. In such a struggle, the people of Kurdistan and the Freedom Movement, as well as all the world’s revolutionary-democratic forces, will stand will the people of Rojava. Like the war was fought and won against ISIS fascism with the spirit of November 1 World Kobane Day, the same spirit will fight the AKP-MHP fascism and prevail. A hundred years ago, the global capitalist modernist system led by England and France created the “Kurdish issue”, i.e. the denial and annihilation of the Kurdish people, and today the same mindset and politics try to continue under the lead of the US. 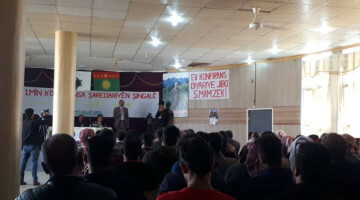 As the people of Kurdistan and their allies, we come to the brink of surrounding and destroying this fascist-colonialist-genocidal mindset and politics with or harsh struggle, but global capitalist powers prevent this, attempting to rescue the fascist and genocidal Turkish system that is their hitman and their warden, intervening at every such opportunity. This is what Germany, France and Russia did a few months ago, and this is what the US government is trying to do today. They are trying to update the international conspiracy attack and revive the fascist-genocidal mindset and politics. Kurds, the people of the Middle East and the whole of humanity can see this very well now. The powers in question need to stop doing this, and stop supporting Turkish genocidal tendencies, which constitute a crime against humanity. Like a global alliance against fascist ISIS gangs was formed after late 201, today there needs to be a similar global democratic alliance against the AKP-MHP fascism who are trying to instate Al Nusra, the Syrian arm of Al Qaeda, in ISIS’ place. We are calling on the workers, youth and women in Turkey and all democratic and revolutionary forces to form a global democratic alliance against AKP-MHP fascism committing genocidal crimes in Kurdistan and to develop the struggle on this basis. AKP-MHP fascism knows no bounds in their attacks, and use any and all methods to attack all Kurdish values shamelessly. Tayyip Erdogan and Devlet Bahceli hold no insults back. Sometimes they do it ‘against the PKK’, but it is clear that they are in fact against Kurds. Thus, no Kurdish individual or organization should fall for this or approach the issue in a narrow way. The biggest delusion would be to think that they are against the PKK and not the Kurds. 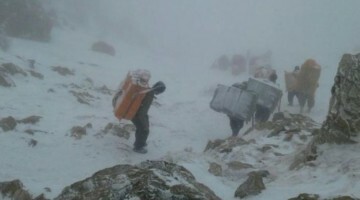 The PKK is subject to these attacks because it represents the free Kurdish existence, and works to develop it further. There should be no doubts about the genocidal attacks of Turkish fascism. No Kurdish organizations or parties should fall into this, or act in narrow approaches or simple calculations. All Kurds and Kurdish parties should be able to act in a national-democratic union against the AKP-MHP fascist-genocidal aggression. As a people and a movement, we have clearly entered a move to break the Imrali isolation and take down the AKP-MHP fascism in 2019. This is the truth that determines the coming year. This truth is as relevant to the world as it is to Kurdistan and the Middle East. The actions of freedom developed in dungeons, in all four parts of Kurdistan and abroad will create the developments to come in 2019. This move isn’t just a move to strike fascism, it is a victory move that aims to take fascism down. 2018 has been a preparation for a great antifascist resistance and democratic revolution in 2019. Thus all our youth, women and everybody should prepare for this and understand this as the process as they execute. All must develop a diverse and rich antifascist body of actions and styles of action that strike fascism a blow. 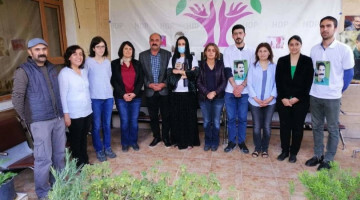 The courageous Kurdish youth, having written epics of resistance for half a century, should develop effective actions that deliver deadly strikes against fascism, stop the antisocial agents-collaborators around them from taking action and show friend and foe alike they are truly the Apoist Youth. On these bases, we celebrate 2019 once again for our patriotic people and all of humanity, and call on all who stand against the fascist, colonialist and genocidal mindset and politics to stand united against the bane of humanity AKP-MHP fascism, show solidarity with the Kurdish people’s struggle for existence and freedom, and to actively fight AKP-MHP fascism together. In 2019, the Imrali isolation will be broken and the AKP-MHP fascism will fall. Turkey will be democratic, and Kurdistan will be free. As such, humanity will be rid of a fascist-genocidal bane!